This is a bit of a follow up blog regarding our last Nutrition blog. There are literally hundreds of diets, made by a variety of different food companies, and of course a vast variety of quality. Determining which diet is best to feed your beloved fur-baby can be challenging when faced upon the rows and rows and bags and bags of pet food. Our job is to help make that decision a little bit easier, and to help you make the best informed decision for your pet. The following list of questions was composed by Dr Joe Bartges. Dr Joe Bartges is a Professor of Veterinary Medicine and Nutrition at the University of Tennessee. He is board certified in both Internal Medicine (ACVIM) and nutrition (ACVN). This list was in response to the many questions he receives about how to decipher and validate the quality of commercially produced pet foods. Do you have a Veterinary Nutritionist or some equivalent on staff at your company? Are they available for consultation or questions? Which of your diets are AAFCO Feed Trial tested? Which of your diets meets AAFCO Nutritional requirements? Can you give me the caloric value per can or cup of your diets? What specific quality control measures do you use to assure the consistency and quality of your product line? What safety measures do you use? Every bag of food should have an 800 number to call for questions and information. If a call is made to a company and they can’t provide reasonable answers to these questions, it sends up a huge red-flag. 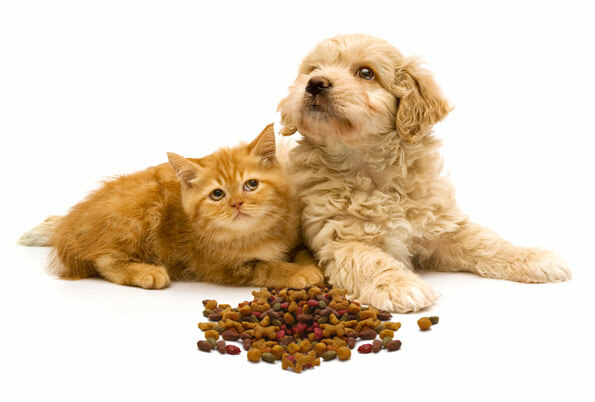 If you ever have questions regarding your pet’s food, please do not hesitate to call us at 519-969-7390. We are always happy to help. As we have stated before, your pets nutrition is very important to them and us. Proper nutrition is the cornerstone of a healthy, happy, long life.